ATLANTA – March 16, 2017 – Volunteer registration is now open for the 2017 AJC Peachtree Road Race. Atlanta Track Club is looking for more than 3,500 volunteers to work alongside the staff leading up to and on the day of the event to support participants. Available positions include setting up the finish area at Piedmont Park, helping out with water stations along the course and handing out food, fluids and T-shirts at the finish line. There are positions available that allow volunteers to also participate in the event. 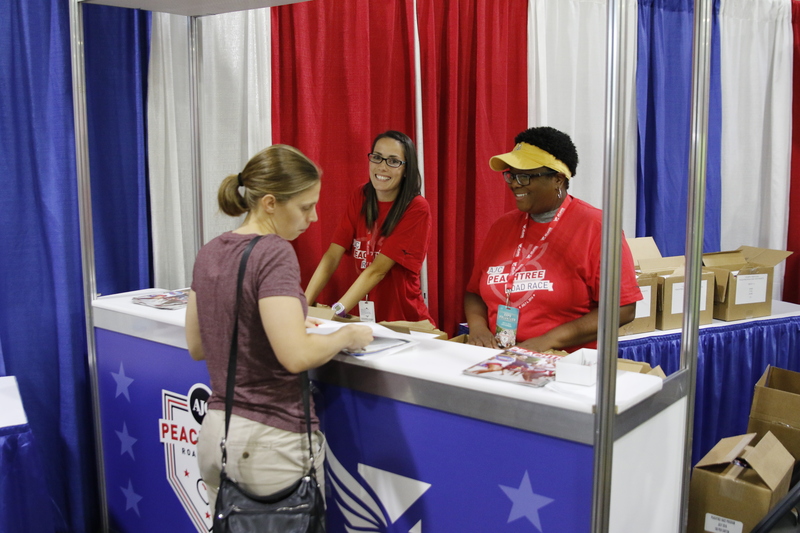 All volunteers will receive a commemorative AJC Peachtree Road Race volunteer T-shirt. If you are interested in volunteering at the 2017 AJC Peachtree Road Race, click here to register for open positions. Questions may be emailed to [email protected].